We are the service provider of Foil Printing. Printing foil or giving foil effects to printed material has been very popular for years. Foil printing is done on almost all sorts of marketing collaterals like brochures, welcome kit and business cards. Recently foil printing has gone through a revolution by introduction of a digital foiling machine called Scodix Ultra Pro. This machine prints foil through a entire digital process. Yes, you heard it right. Unlike traditional way of foiling i.e. hot foiling which requires molds and dies to prepared, Scodix Ultra Pro can instantly print foil with any such molds or dies. Our in-house state of the art Scodix Ultra Pro Foiler, has unmatchedfoiling capabilities, including high glosss & emboss on variety of densities for short to medium runs. Scodix Ultra Pro Foiler is highly advanced, highly-efficient digital machine that deploys a wide range of hot and cold foil films directly on variety of substrates without any molds or dies. Applicable to all sorts of offset, digital, laminated / non-laminated, coated / un-coated substrates from paper to plastic and more. 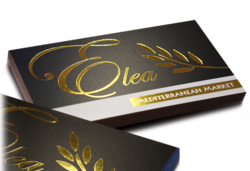 Now you can print flawless impressions of gold and silver foil on diaries, catalogues, boxes, stickersm certificates, business cards, brochures, posters, wedding and photo books. Our Scodix Ultra Pro Foiler not only prints foil or UV through a digital process but it also does variable printing i.e. 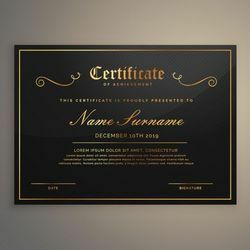 printing different names on every item. Say for example if you are giving foil effect to 500 diaries or calendars, you can print individual name of the recepient on each diary and calendar through this digital foiling system. We have combination of various machines that gives you quick production in short runs. Say for example if you are making less quantity of gold printed labels, stickers or business cards than we have laser machines which can cut your labels, stickers and business cards through a digital process, again without any punch or dies. 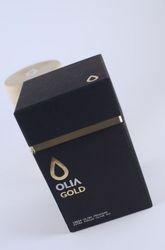 Gold / Silver foil printing and UV printing on packaging is very popular. Businesses try to differentiate their products and brands by giving gold and uv effects to their marketing collaterals. 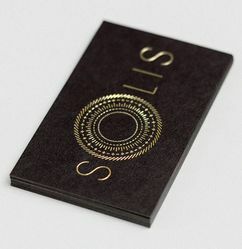 Gold / solver and uv effects printing has gone altogether a whole new level by introduction of Scodix Ultra Pro Foiler. 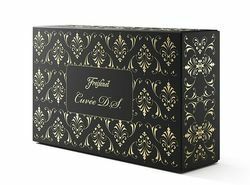 Perfume packaging boxes, jewellery packaging boxes, watches packaging boxes and such products are widely being printed using Scodix Ultra Pro to give premium effects to it. Another great segment we have is printing foil on posters, photo prints, photo books and photo frames. 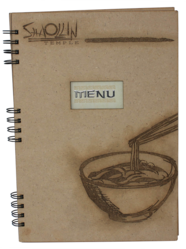 Our clients are looking to convert their normal stuff to exclusive by printing foil over it. And what a great way to foil using Scodix Ultra Pro Foiler. As mentioned above it is not only Flawless it is Fast. Our studio helps our clients create separation files for digital foiling and uv. 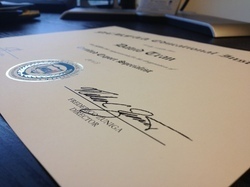 Printing foil on certificates is yet another popular stuff we do for our clients. 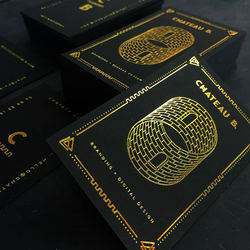 Premium certificate printing with foil effects is widely in demand. Our Scodix Ultra Pro Foiler can print on variety of substartes starting from Paper to Rigid PVC, PP and more. It's Multi CCD camera system and dedicated software algorithms, rotates, scales and positions the image to its exact location and prints accurately. Please checkout our Scodix Ultra Pro foiling system at our youtube channel Hiraworks and get back to us if there is any foil printing job we can do it for you or for your clients. We would be also interested to know if you would like to partner Hira Print Solutions and serve more and more clients looking for premium printing and packaging work. Reach us for high quality printing, prompt service and fast turnaround time. So our team is awaiting to hear from you and receive your artworks for image enhancments using our Scodix Ultra Pro Foiler.